The A.V. 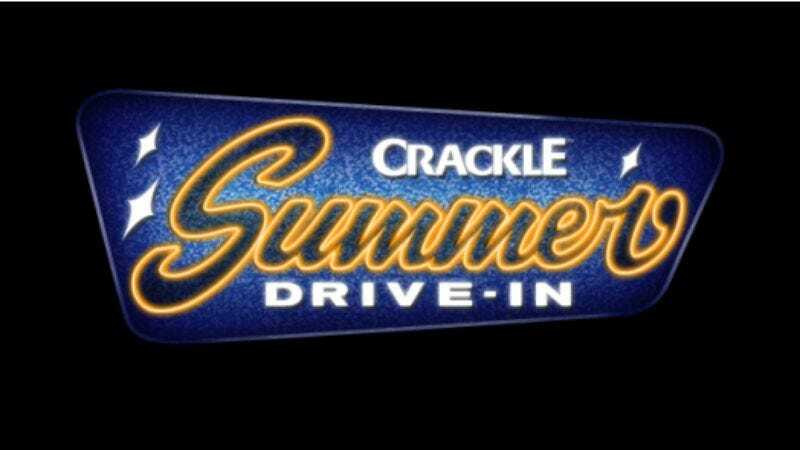 Club has agreed to sponsor 10 days of programming in Crackle.com’s Summer Drive-In Series. We’re providing a preview of each day’s movie (or movies) here. We all know what to expect from a Christopher Guest picture these days: a mockumentary with Michael McKean. For his first film, though, Guest created a little poison pill of surrealism in that most fruitful of genres, the Hollywood satire. Kevin Bacon stars as a young director just out of film school who finds his midwinter ensemble drama co-opted by executives who just love it — except it should be on the beach and star stewardesses who might be ghosts. The storyline might be more conventional than Guest's later work, but the film parodies are delightful and the hilarious script is quotable as hell. A band dresses up like Pez dispensers, Jennifer Jason Leigh shoots a music video, and Richard Belzer presents it on a late-night TV show. J.T. Walsh, Martin Short, Teri Hatcher, cameos by John Cleese and Elliot Gould and Roddy McDowell and Stephen Collins, and yes — Michael McKean's in it. It's not a big picture at all; it's a really funny little picture that launched Guest's big career and deserves its cult status.